Ven y dedica seis horas de tu semana para diseñar con nuestro apoyo el plan de negocio que necesitas para formar la pequeña empresa con la que sueñas. El programa será guiado usando la aplicación móvil Centro Business Planning App y junto con nuestro facilitador, verás como sencillas actividades te ayudarán a desarrollar todas las partes de tu plan de negocio, incluyendo visión, misión y valores, finanzas personales, análisis de mercado, propuesta de valor, operaciones, estrategia de marketing y finanzas. No importa la naturaleza o tipo de negocio al que aspires, esta es tu oportunidad de recibir ayuda de un formador experto en trabajar con personas exáctamente como tu. No dudes en escribirnos a info@centrocommunity.org. Y si estas listo para registrarte, inscríbete online aquí. Small business entrepreneurs can encounter many challenges as they plan and run their businesses simultaneously, usually spending most of their time tending to customers and "putting out fires." For months-at-a-time, accounting and tax preparedness can take the "back seat," until they sneak up as an immediate need once a year. If you are wondering what you should have done throughout the year to make sure you are ready to file your taxes on time, please join us for this free workshop led by Mayfield Accounting. 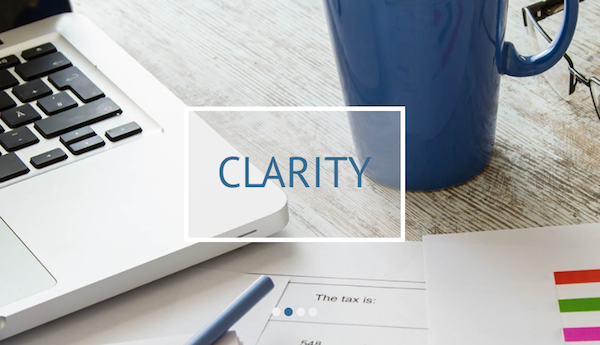 You will not only receive advice on how best to organize in preparation for either working with a tax preparer or using at-home software, but you will also learn a lot about the inner-workings of your business, and feel more confident about making decisions to improve it. Who is this workshop for: All small business entrepreneurs - Centro students, alumni and anyone running a small business who needs help. How to meet all the tax compliance requirements for your startup. Pros and cons of each type of business structure. How to navigate and plan for various business related filings, including entity/income returns, sales tax and payroll. What supporting documents you need to maintain to ensure proper preparation of your income tax returns. Strategies on how to organize and manage your documents, and reduce the clutter. Please contact Irina Kurtsevaya at irina@centrocommunity.org to ask any questions you may have or let her know you will attend. Mayfield Accounting is a small business accounting and consulting firm, dedicated to the development and growth of female-owned businesses. "It is our belief that within every woman lies the power to make the world a better place, and at Mayfield we deploy the practical application of this belief by using our knowledge and training to improve the performance of businesswomen." say founders Lindsay Hiken and Joy Pang. Lindsay and Joy come from a variety of educational and experiential backgrounds ranging from Big 4 public accounting, to post baccalaureate work in the fields of business administration and accounting, to hands-­on experience as entrepreneurs and small business owners. This diversity allows them to be more than just number crunchers for their clients: they are advisors, confidants, partners...and yeah, they are good at crunching the numbers too! We're lucky to have Lindsay and Joy lead this workshop for you! Starting and running a business takes passion, hard work, patience and a great network. Join us in San Francisco for Cuisine Noir’s first Behind the Business Conference on Friday, September 16 and Saturday, September 17 - a new space for current and aspiring small business owners. This conference is especially designed for anyone who is in the culinary, wine/beer/spirits, restaurant/food truck and specialty gourmet foods industries. Whether you are starting or have been running your business for a while, there is always something to learn. The conference kicks-off on Friday, September 16th at 6:30 pm with our Welcome and Networking Reception at The Museum of the African Diaspora in San Francisco where guests will mingle attendees, panelists and speakers and media. The evening will also host a meet and greet with this year’s keynote speaker Andre Mack, founder of Mouton Noir Wines, the largest producing black-owned wine label in the country. Andre Mack, founder of Mouton Noir Wines and keynote speaker at Behind the Business Conference. On Saturday, September 17th we’ll come together at the South San Francisco Conference Center from 8 am – 5 pm for a full day of workshops, and a luncheon that will include a highly anticipated discussion around the opportunities and obstacles securing funding to start, grow and expand one’s small business. We have been offered a discounted rate of $70 for the two-day conference for anyone who is part of Centro Community Partners. So, Centro entrepreneurs, current and past MBA advisors, donors, supporters and friends, please contact us at info@centrocommunity.org to receive the special registration code. The code will be valid until Sunday, September 11th. Please contact Sheree Williams at events@vshereepublishing.com. The Mandela Marketplace is presenting a fall workshop series in Castlemont, Oakland specifically designed for new and local small business entrepreneurs. So if you, or someone you know, is ready to turn an idea into a smart business but doesn't have any business knowledge or experience, this might be the right pathway. The Sustainable Economies Law Center and Centro Community Partners will collaborate with Mandela Marketplace to lead the legal and business coursework, making it a well-rounded offering at a very low-cost. What: 9 workshop sessions covering business entrepreneurship, marketing, finance; food development, safety and handling, and a legal cafe for individual counseling. Who: For all local aspiring small business entrepreneurs (general and food entrepreneurs. When: From September 7th to November 2nd. One session per week. If you are a food entrepreneur, you are required to attend all 9 sessions, otherwise, you can skip weeks 5-7. How much: Sliding scale and 1:1 match. What does that mean? Contribute anything from $25-$100, and if you have minimum attendance, at the end of the workshop series, you will be given back $50-$200 you can use on your business. Where: 8711 McArthur Boulevard, Oakland CA. Please contact Mariela Uribe at (510) 208-1223. Arturo Noriega, Founder and Executive Director of Centro Community Partners. Last month, we had the pleasure to host a special Tea Luncheon for our community of funders and board members, and feature some very talented alumni entrepreneurs from our Entrepreneur Readiness Program. It was a fun time, and the opportunity to share recent impact stories of our work with some of the individuals who have helped us make them a reality. We want to give special thanks to Bob Friedman from the Friedman Family Foundation and the Corporation for Enterprise Development (CFED), and Justin Steele, Principal at Google.org for joining us to share their journey into our space, and their genuine excitement about what we are accomplishing together. We also want to express our gratitude to June Sugiyama and Haley Kirk from Vodafone Americas Foundation - who are new to Centro and came to get to know more about us, the entrepreneurs we serve and the communities where they come from. Luis Abundis, owner of Nieves Cinco de Mayo in Fruitvale, Oakland. Small business entrepreneurs often struggle with keeping their finance organized. In reality, it is a challenge for most people whether they own a business or not. It can also be daunting to take the first step if your preferred language to learn is Spanish, and all the help you seem to find is in English. We understand, and want to help! If you own a small business and you want to truly understand the financial position in which you and your business stand today, come to our Basic Finance Workshop. The sessions will be led in Spanish, aiming to serve the many small business owners in the Fruitvale District of Oakland, and other hispanic community hubs in the Bay Area. This workshop is possible thanks to The Unity Council with the collaboration of Centro Community Partners. This introductory workshop will walk you though the basics of finance, how to separate your personal and business finance, understanding your business costs, what is the breakeven point of your business and how to make simple financial projections. When: Wednesday, May 18th from 9 am - 12 pm OR Thursday, May 19th from 6 - 8 pm; choose the date and time that works best for you. To register, please email Elena Restrepo at elena@centrocommunity.org. Los emprendedores de negocios pequeños con frecuencia tienen dificultad organizando las finanzas. En realidad, es un reto que la mayoría de las personas tenemos, seamos dueños de negocio o no. También puede ser desalentador cuando uno prefiere aprender en español y toda la ayuda que encuentra está en inglés. ¡Nosotros entendemos y queremos ayudar! Si eres dueño de un negocio pequeño y quieres dar el primer paso para realmente entender cuál es la posición financiera de tu negocio y en la que te encuentras personalmente, ven a nuestro Taller Básico de Finanzas. Las sesiones serán en español, con el propósito de servir a tantos dueños de negocios del distrito de Fruitvale de Oakland quieran participar. El taller también está abierto a emprendedores en otras comunidades hispanas del Área de la Bahía. Este taller es posible gracias a The Unity Council con la colaboración de Centro Community Partners. Este taller de introducción explicará las partes básicas de las finanzas personales y de una pequeña empresa. Te ayudará a entender los distintos tipos de costos, cómo calcular el punto de equilibrio de tu negocio y cómo hacer proyecciones financieras sencillas. Cuándo: miércoles 18 de mayo de 9 am - 12 pm O jueves 19 de mayo de 6 - 8 pm; selecciona la fecha y hora que sea mas conveniente para ti. Para registrarte, por favor escribe un email a Elena Restrepo a elena@centrocommunity.org. Local small businesses come together during the month of May, all throughout the United States, and re-affirm how much they contribute to the economy, and how happy their owners are to do so! In our area, the cities of Oakland and San Francisco have put together an array of events for everyone to enjoy. Do not miss them! If you are a small business entrepreneur, review the schedules closely because there are many resources and opportunities that will be brought forth during these weeks of celebration. Free Admission to "Flavors of San Francisco"
San Francisco's Small Business Week kick-off event, Flavors, is on Monday, May 23. Centro will be there together with 70 other small business resource providers. Come to find ways to improve your business, and explore the many other new entrepreneurs emerging in the area. There will be lots to eat and drink too! If you are part of the Centro community, please email us at info@centrocommunity.org and we will get you in for free with a promotional code. If nothing else, please join the "shop local movement" and support the small businesses near you! You just finished your taxes and it took much more time than necessary, the process was cumbersome and you felt somewhat out of control. After all, there are so many other important things on your plate! If this sounds anything like your experience and you are a small business owner, this opportunity is for you. Whether you are just starting or your business is growing, now is the time. This is a practical and instructive session offered by our friends at Strength in Numbers Bookkeeping Cooperative, specifically designed for small business owners. RSVP: Please email DJ Healy at daniel@centrocommunity.org by Monday, May 10th to confirm your attendance. Bookkeeping for sole proprietors is often an overwhelming and therefore neglected process, resulting in tax filing being a stressful process, with large payments owed, and sometimes penalties and late filing. If you’ve avoided all of that, congratulations! Come and share what worked for you with your fellow entrepreneurs. You may still want to tune up your bookkeeping, and build on your good start. How much to set aside so you won’t owe when you file your taxes. Design your bookkeeping to ease tax filing, and have your reports tell you other information you care about. How to discourage an IRS auditor (bore them and they’ll go away faster). What type of bookkeeping program fits you and your business? What you need, to document expenses properly for the IRS. Why a shoe box is a good beginning, and how to get better. How long to keep your records. Definitions, what is deductible and how much is deductible, and what the IRS requires to support the expense. Why you should care and how to know. How to begin saving for retirement. This may seem like a lot, but the beautiful thing is that it is not! Come and get organized, prepare to grow and make your entrepreneurial venture a success from beginning to end. Please RSVP to DJ Healy at daniel@centrocommunity.org by Monday, May 10th to make sure we have a spot for you. Join us for an evening of camaraderie, networking and success stories from small business owners in Oakland, CA. This special party is organized by the person-to-person lending site Kiva and the City of Oakland. Their goal is to bring the community together and show everyone what's possible when we work hand in hand. If you are a small business owner yourself, this might be a very inspiring event as you explore the work and efforts of other small businesses in town. Come discover what Kiva can do for you too! Are you a small business entrepreneur? 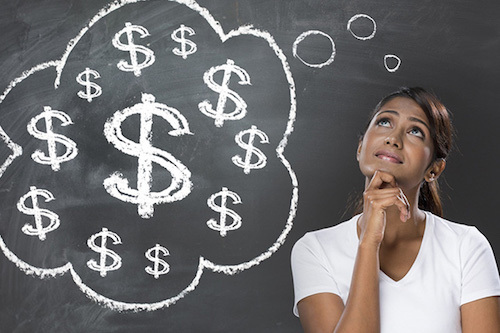 Would you like to create a realistic financial plan for 2016? We have a workshop for you! Centro is offering a 6-hour Financial Projections Workshop in Oakland, Ca on January 28th. This is a rare opportunity, and an ideal time of the year to figure out the most important finance questions and challenges of your business. Please contact our Entrepreneurship Trainer and Program Manager, DJ Healy at daniel@centrocommunity.org or (307) 431-8084. Please contact us immediately. The application deadline is Tuesday, January 26th at noon time. Centro is turning 5 years old! We want to celebrate with you and everyone who has been with us since the very beginning! Mingle with Centro entrepreneurs from the very first class and see what amazing progress they’ve made. Feast on savory bites made by Centro entrepreneurs while you jam to local band Salt People. Don’t forget your lucky charms – we will also have a raffle with some incredible items that will make you cross your fingers and hold your breath. And what’s a birthday party without desserts? Save room for delicious pies, cheesecakes and chocolates, all brought to you by Centro’s very own entrepreneurs. If you can’t join us, consider sending a birthday gift online!